Last year, the total number of active social media users in the UK alone reached a staggering 44 million people. That’s 66% of the total population using social media. In today’s constantly evolving digital era, hoteliers should take advantage of this medium to raise brand awareness for their hotels, engage with customers and generate booking enquiries. A great advantage of social media marketing is that the majority of your hotel’s social media activities are actually free of charge (bar a time cost, of course!) which certainly helps to keep your MCPB (marketing cost per booking) down. 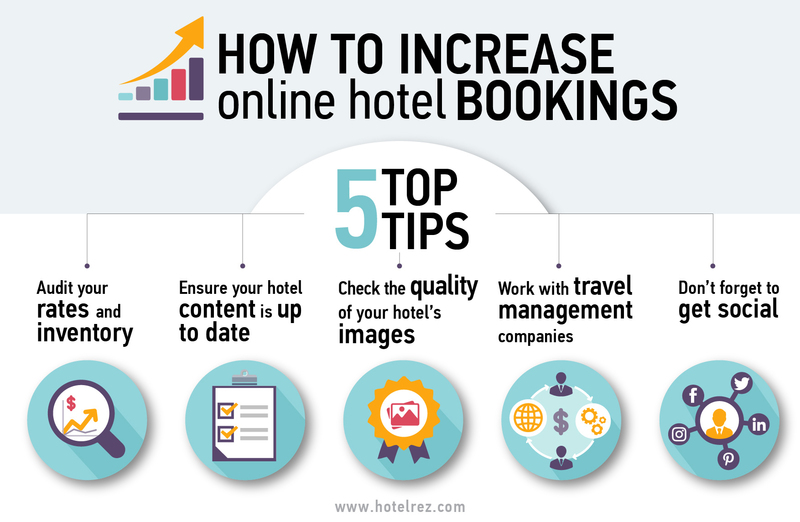 This, in turn, helps increase your DRR (Direct Revenue Ratio), driving business directly to your HotelREZ booking engine (REZbooker) or any other platform. While maintaining an active presence on social media is important, nothing beats having an excellent social media strategy. This includes a full social SWOT analysis, conducting competitor research, coming up with creative social activities to reach future guests and setting up a style guide. Before you can start promoting your hotel on social media, you need to know who you are promoting it to. Getting this initial step right is crucial, and building a persona of your ideal target audience will prove to be very helpful down the line. Ask yourself: what age group are you trying to reach? What’s their average income? Do they have any common interests or characteristics? And most importantly: which social media channels do they use? Once you’ve got a clear idea of who you want to reach on social media, have a look at how they communicate online – then tweak your messaging accordingly. 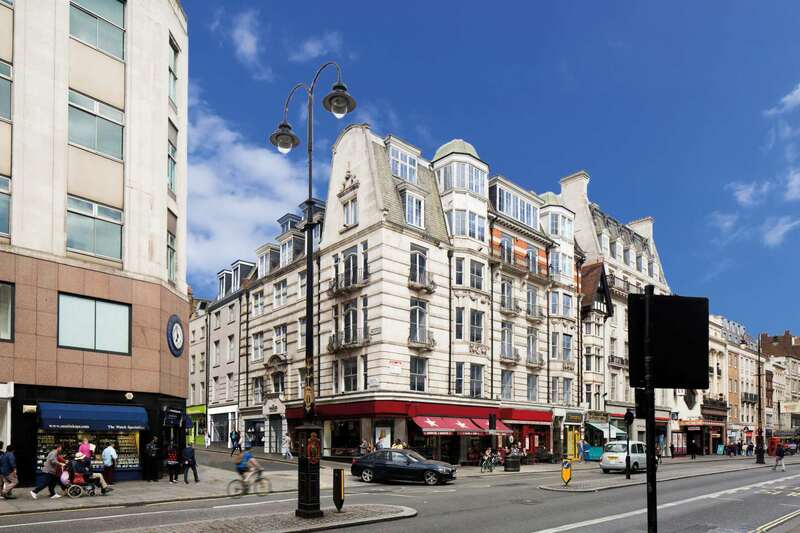 A trendy city centre hotel will want to target a different audience, and thus use different language, than say a countryside golf Manor House. But always remember that customers prefer brands that seem more human. Don’t be afraid to use more conversational and informal language when promoting your hotel on social media – at HotelREZ we try to do exactly this and avoid the corporate jargon as much as possible. If your hotel is aiming to target millennials on social media, have a look at our e-guide on how to market to Millennial Travellers. It will teach you everything you need to know about leveraging your hotel’s unique qualities to target next generation travellers. Put yourself in the shoes of your followers: if you were them, why would you follow your hotel on social media? In most cases, the answer will be because you share interesting and educational content. Of course you want to promote your hotel and upsell, but make sure you do it subtly while sharing a large variety of engaging content alongside any promotional posts. A good place to start is to share tips and insights on local events, restaurants and fun activities near your hotel. Think of your hotel’s social media channels as a sort of online concierge service! A good way to subtly promote your hotel on social and add incremental value is to offer promotional packages for local customers, for example by including a spa treatment or a restaurant dinner at a discounted rate. Not only will this catch the attention of more budget conscious guests on social media, it will also help increase your TrevPar during those quieter months. If possible, work with travel bloggers and join a relevant consortia to spread the news online. At HotelREZ, we post about our members’ special rates, events and news on our own social channels. Just remember to find the right balance between promotional and educational content. If you’re a Twitter user, a good way to go about it is by following the 4-1-1 rule: for every self-promotional tweet, respond to at least one post, and re-tweet or interact with four others. 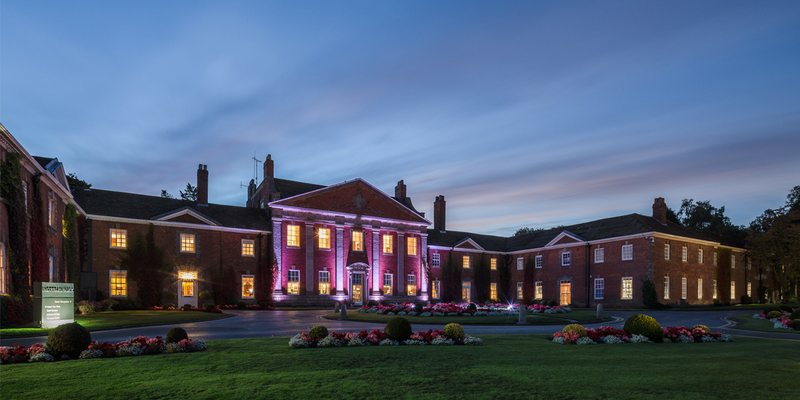 Another vital aspect of social media marketing for hotels is engagement and growing your audienceAll too often we’ll see a hotel spending a great amount of time optimising their posts, only to then fail to interact with their followers. Luckily this mistake can easily be avoided: make a point of replying to all social posts and mentions you get, whether they’re positive or negative! Showing that you are taking any negative feedback on board is just as important as re-posting the positive reviews your guests leave. Try to generate as much of a buzz around your hotel as possible. Using the right hashtags is a great place to start, but make sure they’re the ones that your audience is actually searching for. Continuous hashtag research is therefore a must – Hashtagify is a useful tool if you need some inspiration. Also, always use high-quality photos that present your hotel in the best light. Keep in mind that different social media channels have different ideal image dimensions – here’s a great guide to social media image sizes if you need a refresher. While social media tends to have a reputation for being a brand awareness tool, done well it can generate leads and result in bookings too. 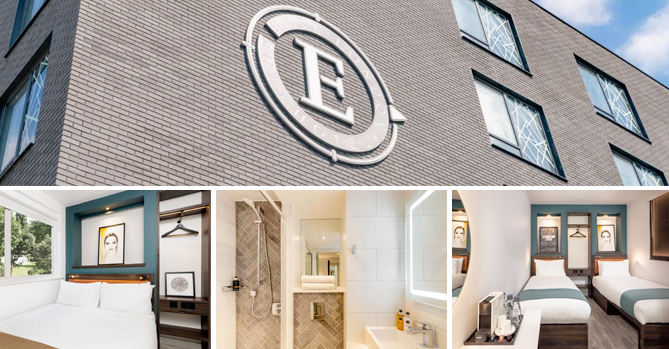 A good example is the Lowes Hotel Group, which used the hashtag ‘#BookLoews’ to answer any reservation enquiries guests had, and help push people down the marketing funnel to increase bookings. Now that’s a creative way to give your RevPar a boost! 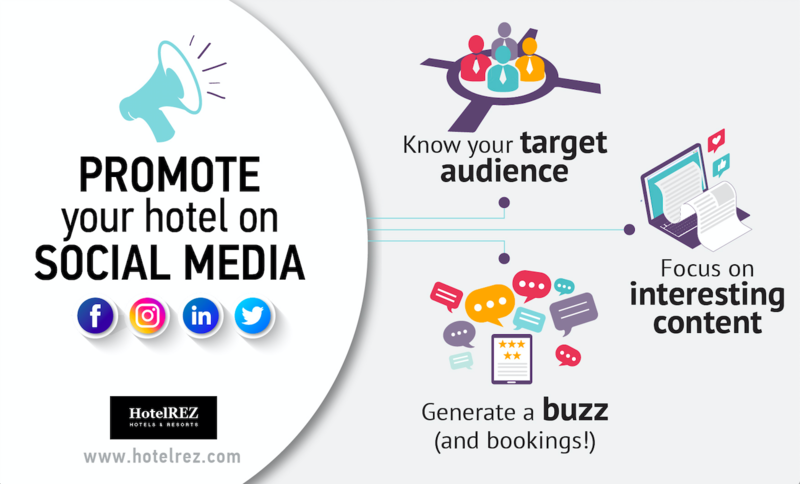 And there you have it, HotelREZ’s quick three tips on how to promote your hotel on social media. Seems easier said than done? We know. That’s why we offer social media consultancy services to all our members as part of our hotel marketing package. Our services are designed to help you set up and manage your own social media strategy, as well as grow referrals to your website from your social channels. Find out more. HotelREZ is a hotel representation company providing distribution, marketing and consultancy to over 1,500 accommodation providers worldwide. 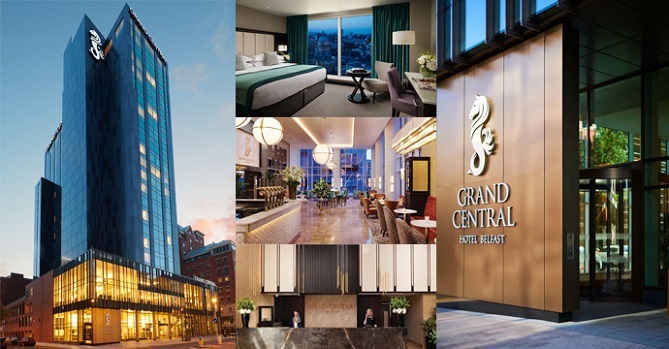 If you want to find out more about how we help hotels stay independent and compete worldwide, have a look at our services or get in touch today.